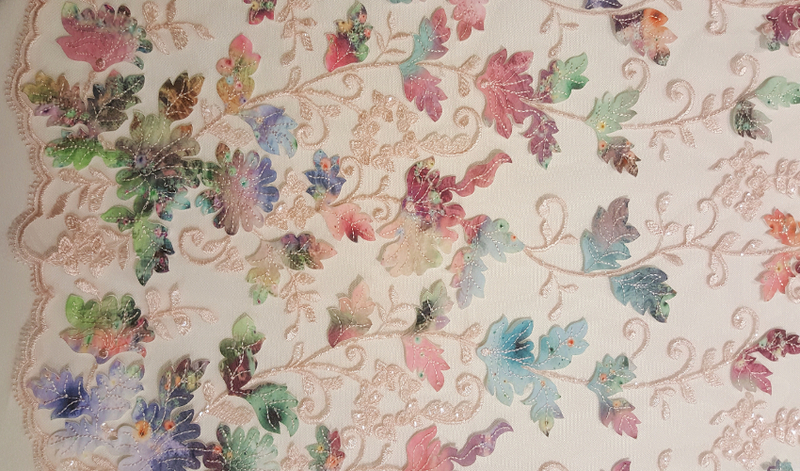 A very extensive range of fabrics for bridal, evening and prom dresses: laces, embroideries, plain fabrics, including silks, in a range of colours, also an extensive range of edgings and motifs. With a recent addition of magnetic brooches. A large range of accessories, including pearl and crystal buttons, brooches, buckles, clasps and chains is also offered. No minimum order and most items available from stock. Range of sample books available to view and purchase. We are now the sole UK agents for Ramon Santaeularia, a Spainish producer of buttons and accessories and Interstiss, a French brocade and digital printing company.